The capital of the United Arab Emirates is growing rapidly and one of the most modern cities in the world. The infrastructure of the island metropolis is also state-of-the-art and has reached a new level in terms of traffic management with SWARCO. Impressive skyscrapers in combination with Arab buildings and generously developed streets characterize the pulsating cityscape of Abu Dhabi. Tourism and the economy are booming. In the course of the general growth, the Mohammed Bin Zayed (MBZ) district is also expanding more and more as a popular residential area. In the morning the commuters stream into the centre, in the evening they stream out again. Traffic jams and slow-moving traffic during rush hour were the order of the day. 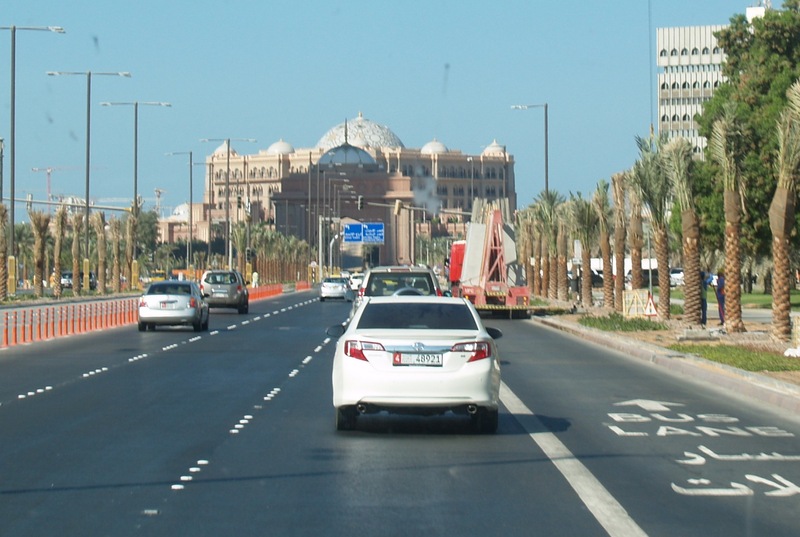 Until the Abu Dhabi Department of Transport wanted to break new ground in traffic management and brought SWARCO on board. Together with the local project partner, TAMASPRO, an intelligent traffic control system was implemented in MBZ. The result: significantly improved traffic flow and safe traffic light management at the umpteen intersections of the city network. "The particular challenge was to find a solution that would do justice to the rapid pace of urban development and the extremely dynamic volume of traffic," says Gianni Canepari, project manager at SWARCO. A solution that SWARCO has found. Mohammed Bin Zayed's advanced infrastructure serves as a pilot project and benchmark for future applications of the Abu Dhabi Department of Transport. SWARCO UTOPIA control software is already in use at 40 intersections. Traffic lights thus react in real time to the respective traffic situation. This means that all system components permanently monitor the traffic situation and react at lightning speed with a control strategy based on defined criteria. The UTOPIA advantages for network control in the area of the MBA are clear: the previously often congested roads are a thing of the past. In addition to the local control strategy, the system also ensures that traffic flows better over corridors at neighbouring intersections, thus reducing the number of stops and minimising waiting times for all road users. SWARCO's installed infrastructure includes over 1,000 signalling devices, 486 pedestrian push-buttons, approximately 100 km of fibre optic communication lines, 80 CCTV cameras, 40 control units, traffic light masts and other hardware. To further increase safety for all road users, the pedestrian traffic lights have a FUTURLED countdown module that counts down the time to the next green phase. 3, 2, 1 ... go! The countdown function is precisely adapted to the adaptive switching cycles of the traffic lights and the changing lengths of the signal phases of all intersections in the area. No wonder that the innovative traffic management concept for MBZ will soon also be applied to the other boom regions of Abu Dhabi, Al Falah Town and Khalifa City - for greater safety and comfort for all road users.